Our five-day Combined course to Rigging, Slinging & Banksman brings together two three-day courses, letting delegates save one day off their training. The lifting operations training is for personnel who supervise or are directly involved in rigging and lifting operations, including crane lifting. Practical exercises provide ample opportunity to demonstrate the safe and correct use of equipment. This course is aimed to provide candidates with the required knowledge and understanding of relevant legislation and provide them with the skills and techniques use during lifting operations and the correct and safe use of equipment. Stage 2 Logbook is issued along with Stage 1 course certificate. 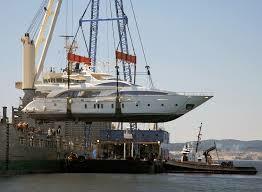 Personnel with a responsibility to carry out rigging and lifting operations and crane lifting operations. The is also beneficial to personnel such as supervisors and HSE advisors with a responsibility for proper planning and appropriate supervision of listing operations and persons with a responsibility for issue and control of lifting equipment and accessories. 3. Identify and briefly explain typical roles involved in lifting operations. 12. Identify the various types of personal protective equipment (PPE) the Rigger would typically use. 23. Correctly and safely position and install lifting equipment prior to starting the lifting operation. 26. Explain how to use identification tags, colour codes to establish SWL and WLL of lifting equipment. establish escape routes from the work area. 30. 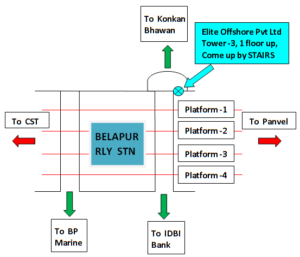 Explain how to establish load-bearing capabilities of structures and lay-down areas on the planned route. 31. Explain and demonstrate best communication methods and protocols prior to, and during lifting activities. 32. Explain and demonstrate how to conduct lifting equipment pre-use and post-use inspections. 36. Demonstrate rigging up and lifting loads where there is restricted access to the load and load route path. load to its planned location and position. 41. Explain and demonstrate how to de-rig, store lifting equipment after use and record any damage. 42. Explain and demonstrate the procedures to follow if lifting equipment or the load is discovered damaged. 44. Explain how waste from the lifting operation is disposed of according to relevant legislation / procedures. (45) The Banksman’s role during a free access lift, a restricted access lift, a single tubular lift, a bundled tubular lift, a lift with an offset centre of gravity, a lift with a cargo carrying unit and a blind lift varying the use of hand signals and radio communications.